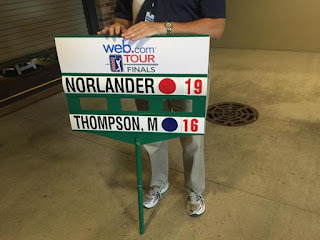 Michael Thompson all but guaranteed himself a 2015/2016 PGA Tour card today after he shot a seven under par 65 at the Hotel Fitness Championship and finished in a tie for second. 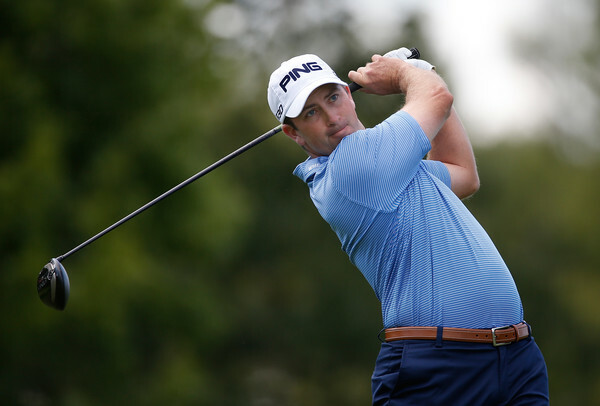 He finished three shots behind fellow playing partner Henrik Norlander who shot a course record ten under par 62. The Hotel Fitness Championship is the first of four events in the Web.com Tour Finals. The top 25 money earners in these four tournaments will earn tour cards for next year. This is the third year of this format and the previous year required between $33K and 36K to crack the top 25. Michael's tie for second this week earned him $88K which should be well inside the top 25 money earners after the conclusion of all four events. Next week the Web.com Tour Finals move to the Small Business Connection Championship at River Run in Davidson, North Carolina. Despite locking up a card already, there is still incentive for Michael to keep playing well in the final three events since the 25 cards being handed out will be in priority order based on the combined money list. A higher priority will give him better access to PGA Tournaments next year. Michael had shot three consecutive three under par 69's before exploding today with eight birdies and a single bogey. He took advantage of the par 5 holes this week as he was 9 under par without a bogey. For the entire tournament Michael only had four negative holes (2 bogeys and 2 double bogeys) against 22 total birdies. • Michael Thompson (T2) and tournament winner Henrik Norlander combined to shoot 17-under par in the final round. Their best-ball score would have been a 12-under-par 60. They birdied the same hole six times during the round. What a Way to Make the Cut!